Whats in Store Next Year? With the 2016 presidential campaign in the rearview mirror, a semblance of what’s ahead in 2017 can begin to take shape. 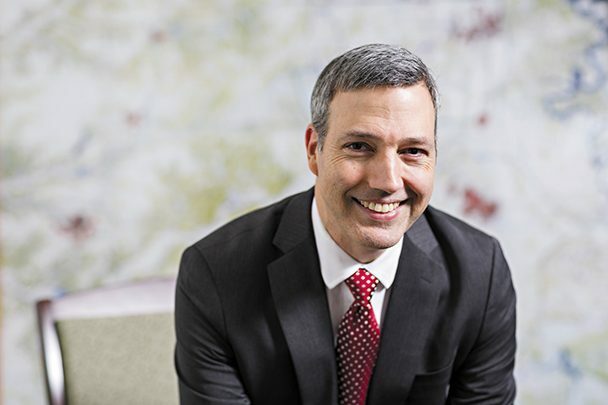 “There is so much that could affect us in 2017 in a positive or negative way,” said Mike Harvey, chief operating officer of the Northwest Arkansas Council, a nonprofit organization that works to promote economic development in the region by improving education, infrastructure and workforce. “I think the political economy right now, it could be fantastic. Corporate tax reform could get done, regulatory reform could get done. There could be some really good stuff that happens that releases a lot of pent up demand in this economy. Attracting a business is a long-term investment, and the challenges, Harvey explained, are still confined to two large areas – available workforce and land. “On the land question, there has been good movement in Springdale and Bentonville,” he said. “We need more activity in private, speculative building, and I think that will be the next hurdle. But we are making good progress. Harvey said there are many factors in sync right now that should contribute to the success of the Northwest Arkansas metro economy in 2017, and jobs are tied to all of them. He mentioned the region’s growing profile as a healthcare destination. Arkansas Children’s Hospital is on target to open its Springdale campus in 2018 and Mercy Northwest Arkansas will invest nearly a quarter-billion dollars on capital projects and equipment over the next five years. The expansion in healthcare facilities and services – highlighted by a 279,000-square-foot patient tower that will bump Mercy Hospital in Rogers from 200 beds to 300 beds initially – comes with the creation of 1,000 new healthcare jobs. He also noted the increased activity in multifamily construction in the two-county region, as well as the growth of J.B. Hunt Transport Services, which plans to add more than 1,000 jobs in the next five years at its Lowell headquarters. Harvey said the continued growth of middle- to high-paying jobs in the region will also be important in 2017. Those will support growth in the ancillary spinoff jobs. “Joe gets a job and makes $100,000 a year, Joe demands haircuts and dry cleaning and retail and food and that creates all these other jobs in the service sector,” he explained. “The continued growth of middle- and high-wage employment is, I think, the secret sauce right now. I think that is what’s behind this little spurt we’ve seen the last two years. The banking sector should continue to thrive in 2017, thanks to strong loan demand, economic growth and higher interest rates, according to Tim Yeager, the Arkansas Bankers Association chair in banking at the Sam M. Walton College of Business at the University of Arkansas. “Banks are having a very good year, and they will have a better year in 2017,” Yeager said. Banks in Northwest Arkansas – there are 40 with at least one brick-and-mortar office in the two-county area – will continue to benefit from the growth in the area, particularly due to the strong housing market. The average home price, Yeager said, went up 5% in the third quarter of 2016 compared to the same period in 2015. As a result, housing construction has increased. “Lending overall is strong,” he said, referencing a sampling of 11 area banks in the Northwest Arkansas metro area, whose combined loans have increased almost 9% between the third quarter of 2015 and the same time in 2016. Yeager said the Federal Reserve will likely raise interest rates again in 2017, and that should slow loan growth some. But it will also allow banks to increase profits in the coming year. Yeager said relief for community bankers in dealing with consumer compliance regulation is “desperately needed” but said any potential changes to the Dodd-Frank rules likely wouldn’t be implemented in the next 12 months. 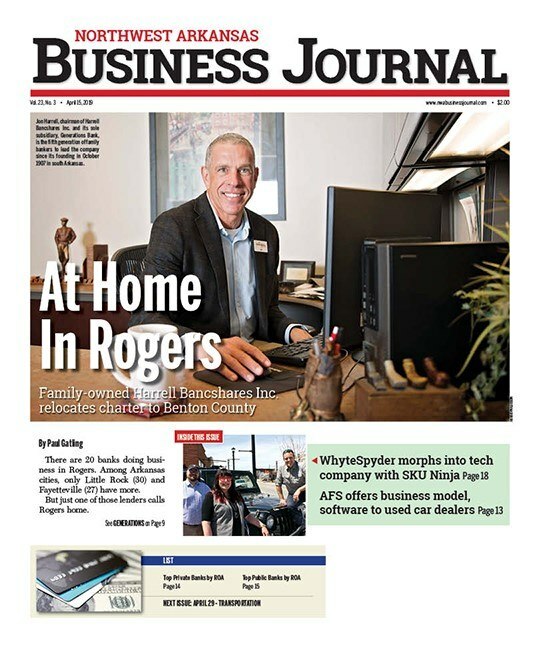 As job and population growth continues, this will “continue to provide pretty good demand for our office space,” said Brian Shaw, CEO and principal for Sage Partners in Fayetteville. “All things look positive,” he said, and investors outside the area are taking notice. Shaw pointed to the recent $56.8 million sale of Bentonville Plaza and surrounding 16 acres to an Oklahoma City investor. However, one thing developers “will keep an eye on” is interest rates, Cole said. Everyone anticipates interest rates will increase, and as they do, development will become more expensive, leading developers to adjust rent, negotiate for better land prices or bring more cash to the table. Low interest rates have allowed property values to remain “relatively high,” Shaw said. Meanwhile, lenders have been “very disciplined,” and he’s “highly appreciative” of this. As long as that continues, he expects a healthy market. As of November, construction unemployment rate was 5.7%, according to the ABC. The industry added 19,000 new jobs in the month and has been adding jobs for three consecutive months. Through November, $907.49 million in residential and commercial building permits have been issued in Bentonville, Fayetteville, Springdale and Rogers. The total eclipsed the $902 million in permits issued all of last year and $773 million in 2014. In past years, the industry usually slows down in November and December, but Roachell said he’s not seeing a work decline. Another positive economic indicator is the construction backlog rose to 8.7 months in the third quarter, up 2% from the second quarter and 2.2% from the third quarter in 2015. Ever-increasing competition for donor funds will be one of the biggest challenges for nonprofits in 2017, said Mervin Jebaraj, assistant director of the Center for Business and Economic Research at University of Arkansas. More than one-fourth of Arkansas Nonprofit Alliance’s membership is in Northwest Arkansas, and there are almost 3,000 nonprofit organizations in Benton and Washington counties alone, according to TaxExemptWorld.com. Jebaraj believes the solution lies in creating partnerships and merging existing nonprofits that have similar causes. The groundwork is already being laid at places like the Center for Nonprofits at St. Mary’s in Rogers, where shared space has spurred informal partnerships already, he said. Nonprofits must also keep up with rapidly changing technology. “Just as some nonprofits have finally built up the capacity to provide content on social media platforms like Instagram, Facebook and Twitter, that landscape has shifted again,” he said. Now they have to adapt to Snapchat and Facebook Live in order to reach younger audiences in particular, and many nonprofits don’t have dedicated marketing staff to keep up with these changes. If there is one big question mark for the nonprofit sector in 2017, it would be federal policy. With a new administration in place, details on issues that will affect the nonprofit sector are uncertain. Capping itemized deductions and lowering taxes, two proposals that have been floated by the incoming administration, could have negative effects on charitable giving, Jebaraj said. Changes in healthcare law could affect funding for Arkansas’ 900 nonprofit medical organizations.